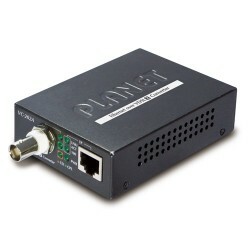 Long Distance High Power PoE and Gigabit Data Extension SolutionThe Planet POE-E201 is a newly desig..
OverviewPLANET IGTP-80xT Industrial Gigabit Media Converter series combines Ethernet media conversio..
OverviewThis intelligent adapter makes it possible to simultaneously operate your Samsung Galaxy Tab.. 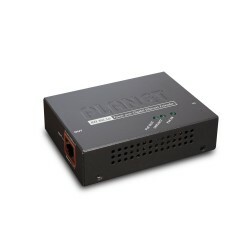 Planet GT-802 10/100/1000Base-T to 1000Base-SX (SC,MM) Media ConverterProviding the flexibility..
OverviewThe NV-202 is our low cost LAN extension solution using the G.993.2 VDSL2 standard technolog..
Patton CopperLink CL1101E/PAFA/RJ45/EUI-2PK Industrial PoE Ethernet Extender Kit (1x 10/100; 802.3af.. 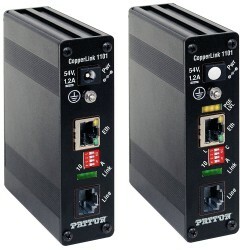 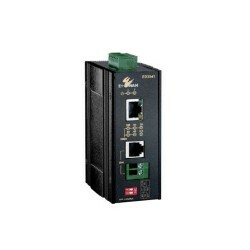 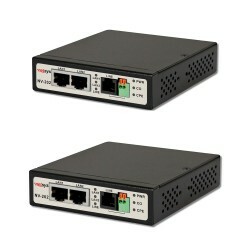 The EtherWAN ED3331 Ethernet over Coax Extender enables the extension of Ethernet connectivity over .. 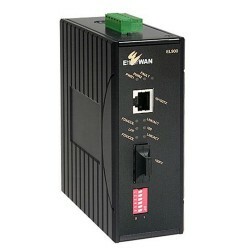 Note: 2 x ED3341 units required for a linkThe EtherWAN ED3341-00B Ethernet Extender enables th.. 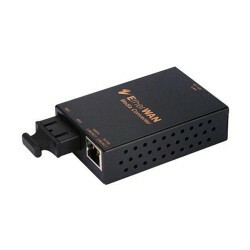 Note: 2 x Etherwan ED3541 required for 1 link.The EtherWAN ED3541-00B Ethernet extender allows the e.. 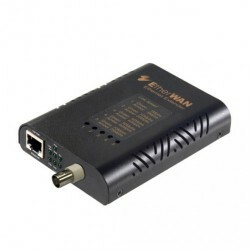 The EtherWAN EL900-A-B-1A 10/100BASE-TX to 100BASE-FX Hardened Media Converter (SC, MM) provide.. 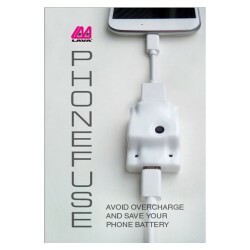 The eSTS-2UE adapter is an extended version of STS-2UE providing wired Ethernet connectivity and sim..
For a healthier SmartPhone battery use PhoneFuse™ by LAVA.PhoneFuse™ is an accessory that sits betwe.. Please Note: These videos, shown with the SimulCharge TL-002, also illustrate the functionality of t.. 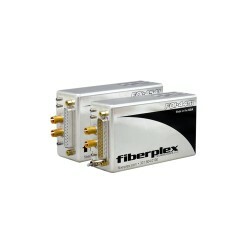 The EL50C provides media conversion between 10/100BASE-T(X) and 100BASE-FX Multimode Fibre, using an.. 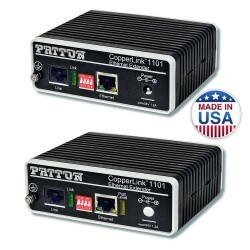 The EL50T provides media conversion between 10/100BASE-T(X) and 100BASE-FX Multimode Fibre, using an..
Fiberplex - A Brand of Patton ElectronicsFOI-4451: To DCEFOI-4541: To DTEThe Fiberplex FOI-4451 and .. 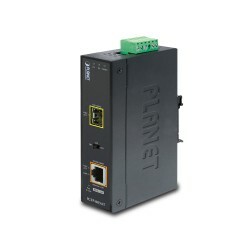 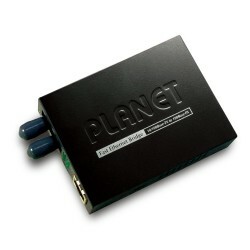 PLANET FT-801 is a Fast Ethernet Bridge 100BASE-FX Fibre to 10/100BASE-TX shielded twisted pair (STP..
Patton CopperLink CL1101/PAFA/RJ45/EUI-2PK PoE Ethernet Extender Kit (1x 10/100; 802.3af (mode A); R..
Netsys 3010E G. SHDSL.bis EFM Bridge Modem 2-wire 1 pair up to 15 MbpsOverviewThe 3010E is a G.SHDSL..
OverviewEthernet Distance Extension via Coaxial PLANET VC-202A is a high-performance Ethernet-over-C.. 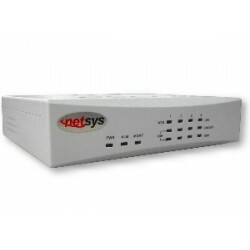 Thank you for visiting our e-commerce website. 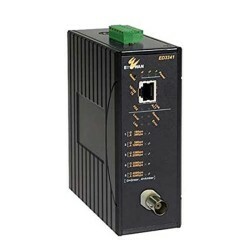 Here you will find a wide range of Networking and Communications products from leading manufacturers around the world. 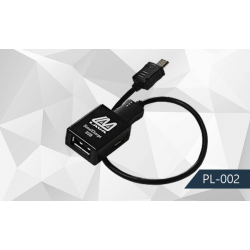 We pride ourselves on our direct relationships with the manufacturers and therefore can provide the best pricing structures for our Resellers and Partners and offer support and technical expertise for your requirements. 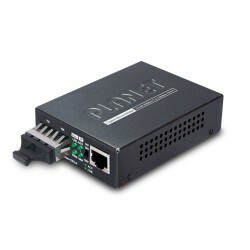 Our product portfolio includes traditional LAN Switches, Power over Ethernet, Media Conversion, Ethernet Extension and Wireless Solutions covering different applications and installation types. 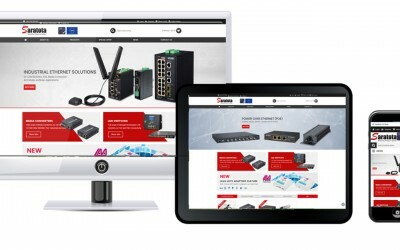 If you cannot find what you are looking for on our website, please do not hesitate to give us a call, we will be more than happy to assist you. 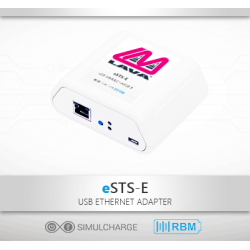 Copyright © 2018, Saratota, All Rights Reserved.